Adorable table confetti that would add character to any baby shower! 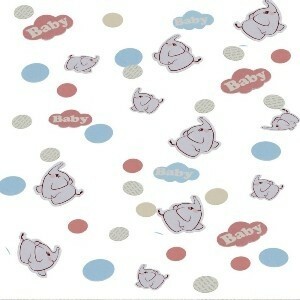 The confetti contains little elephants, 'Baby' clouds and balloons. The pack of confetti is 14g.